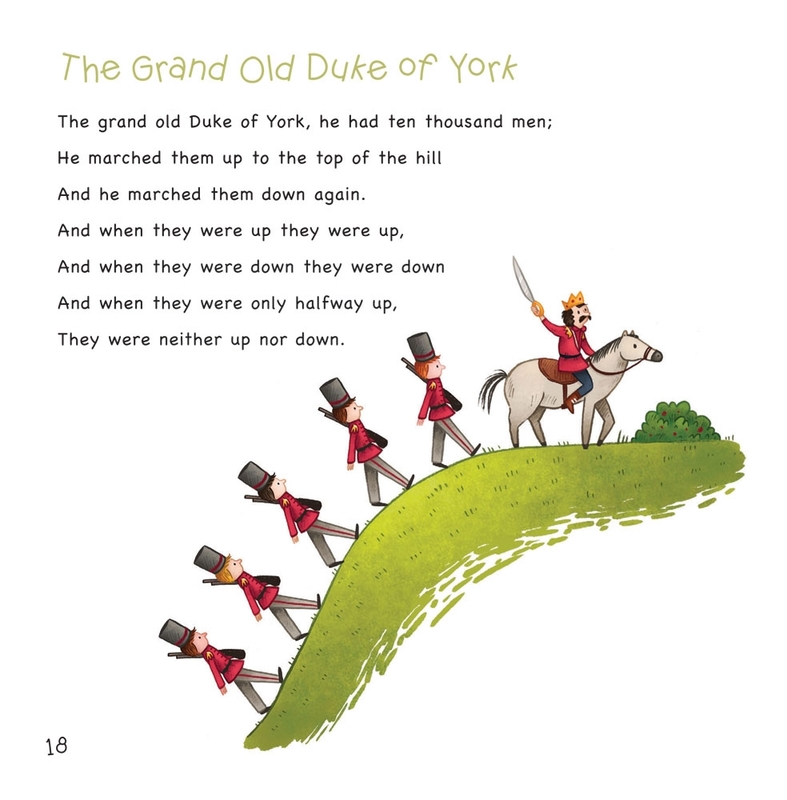 Book 2 of Richard Gill’s arrangements of your favourite Nursery Rhymes and Songs, including a CD recording featuring Monica Trapaga, Dan Walker, Julie Oguey, and members of the Sydney Symphony Orchestra. 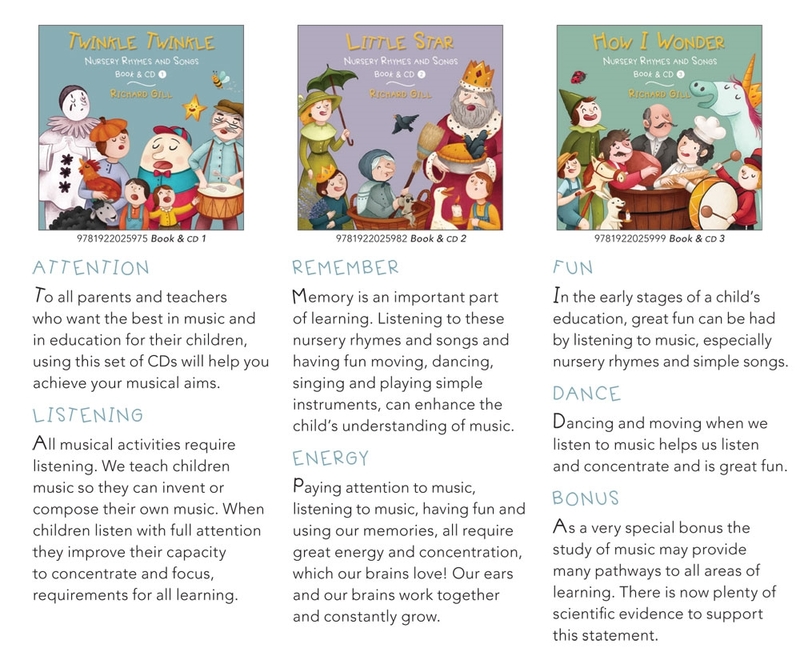 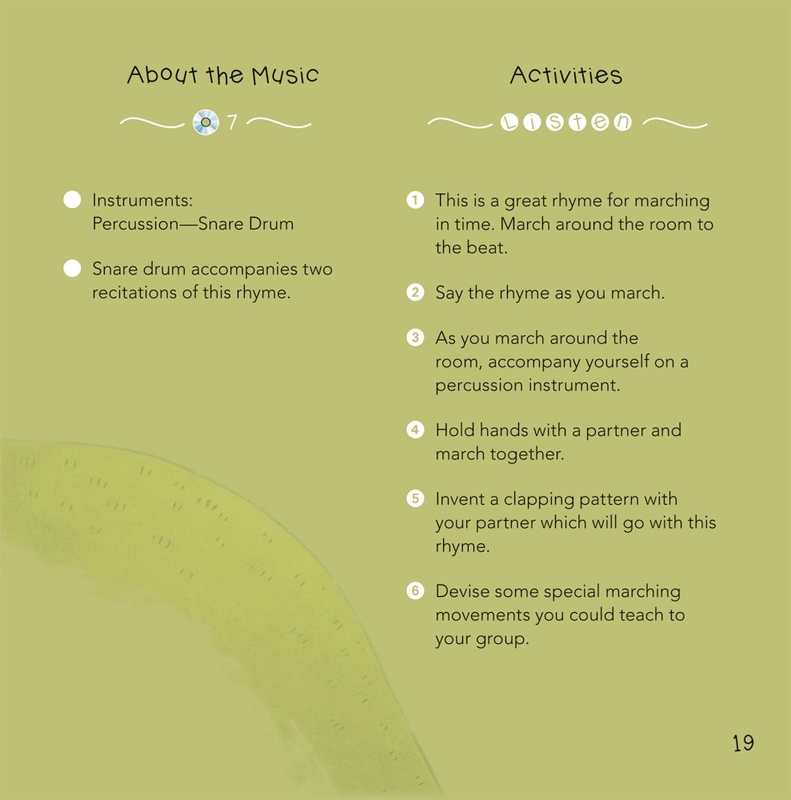 Suitable for parents and early childhood teachers, each book includes activities introducing musical terms and concepts, and encouraging learning and development through listening, movement, playing and singing. 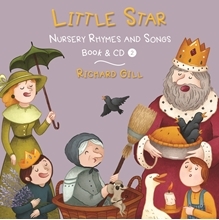 Tracks: Sing a Song of Sixpence, Pop Goes the Weasel, The Grand Old Duke of York, Polly Put the Kettle on, Sur le Pont D’Avignon, Wibbleton to Wobbleton, Cackle Cackle Mother Goose, Lavender’s Blue, Dob & Mob, One Two Buckle My Shoe, Oh Dear What Can the Matter Be, Jack be Nimble, Diddle Diddle Dumpling, Three Blind Mice, & more!